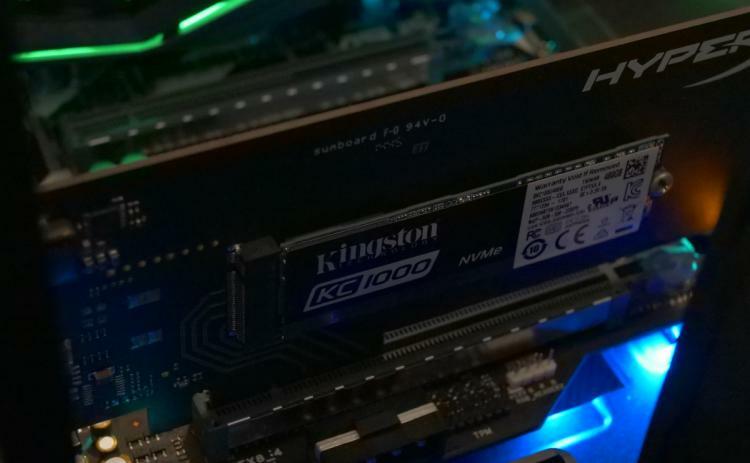 Last week memory and storage manufacturer Kingston announced the expansion of the already quite comprehensive SSD lineup for consumer, prosumer and enterprise environments. 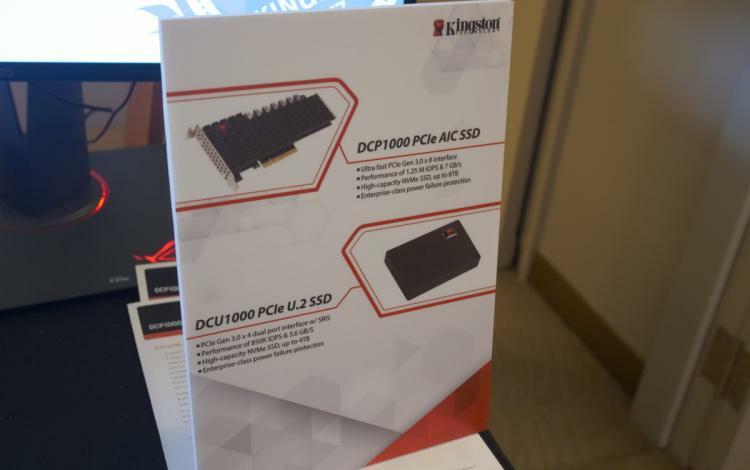 The component unveiled was the KC1000, a M.2 PCIe SSD available in storage options up to 960GB and read/write speeds up to 2700/1600MB/s, but that is now joined by two new enterprise-class devices. The DCP1000 PCIe AIC SSD has the now familiar PCI-Express add-in card form factor which has been around for quite a few years now. The interface is wired for communication over eight PCI 3.0 lanes, and is capable of transfer speeds over 7GB/s, a little more than double what is typical from M.2 Gen 2 SSDs (which communicates over four PCIe lanes). Other headline figures are the IOPS - an eyewatering 1,250,000 IOPS - and a high capacity up to 8TB. Announced alongside the DCP1000 is the DCU1000 PCIe U.2 SSD, one of those ever rare storage devices: a U.2 SSD drive. The U.2 connector standard utilises in part PCI-Express signalling as well as a separate reference clock signal (SRIS), with motherboard pinouts arraigned in a compact design physically identical to the mini-SAS HD standard. On the drive side however it's quite different, with a very wide connector on the rear that combines signalling and power. U.2 is slowly gaining acceptance in the enterprise space due a certain amount of backwards compatibility with the SAS standard, and has appeared on premium desktop motherboards for the past two generations. 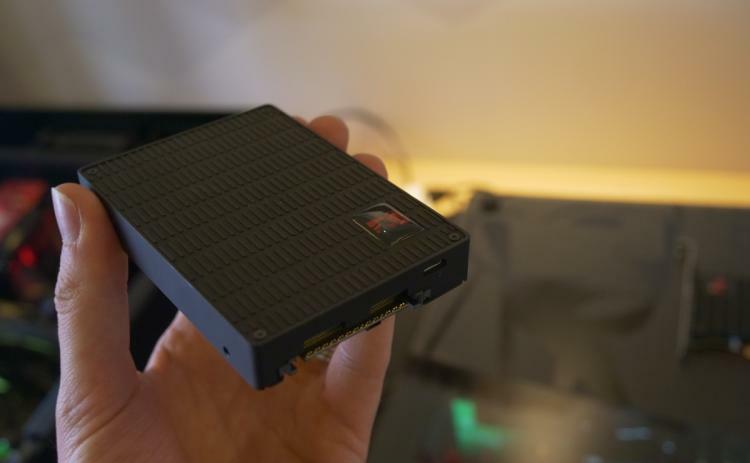 In time U.2 may replace SATA as the defacto connector of choice for discrete drives, but for now remains the province of only high-end consumer design and business solutions. 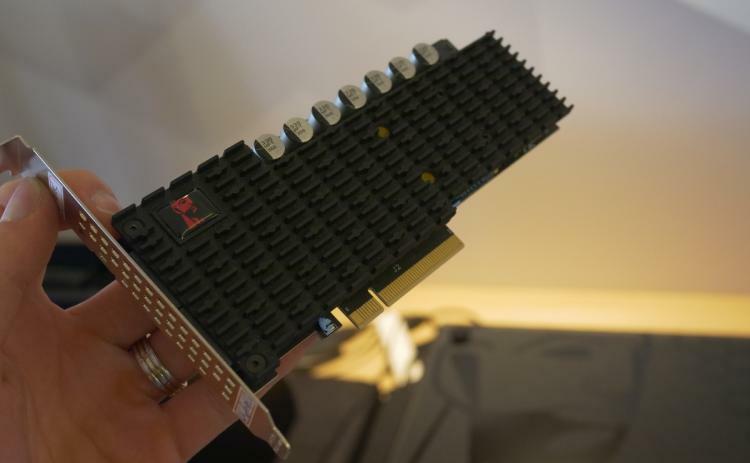 The DCU1000 U.2 connector limits the SSD to four PCI-Express 3.0 lanes, but that means it's still capable of transfer speeds up to 3.5GB/s. IOPS figures are similarly impressive at 800,000, while capacity is currently limited to 4TB per drive. Hopefully it won't be long before derivative versions of these advanced models also make their way into the consumer space. As for now, the DCP1000 and DCU1000 will likely remain the province of enterprise environments.